A novel R wave detection method is presented based on functional coefficient nonparametric statistical model. Firstly, digital bandpass filter is used for denoising and filtering of Electrocardiogram (ECG) signal. Then ECG signal is fitted by using functional coefficient nonparametric statistical model and difference threshold. Finally, the derivative of fitting model is applied to detect R wave in ECG with signal processing and threshold. Compared to the old difference method for R wave detector, the nonparametric statistical regression approach is more accurate based on the derivative of each point. Clinical data are used to test the performances. The experimental results show that the proposed method for R wave detection is effective. 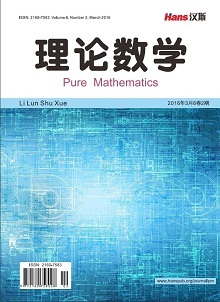 苏丽, 赵国良, 李东明 (2005) 心电信号QRS波群检测算法研究. 哈尔滨工程大学学报, 4, 513-517. 张胜, 吴仲光, 李征 (2008) 一种自适应R波检测算法实现.四川大学学报(自然科学版), 3, 498-502. Friesen, G.M., Jannett, T.C., Jadallah, M.A., Yates, S.L., Quint, S.R. and Nagle, H.T. (1990) A comparison of the noises sensitivity of nine QRS detection algorithms. IEEE Transactions on Biomedical Engineering, 37, 85-98. 苏理云, 孔彤, 唐华, 李姣军, 陈兵 (2010) 淹没在分形噪声中的心电信号R波检测. 重庆理工大学学报(自然科学), 4, 86-89. Saxena, S.C., Kumar, V. and Hamde, S.T. (2002) QRS detection using new wavelets. Journal of Medical Engineering and Technology, 26, 7-15. Legarreta, I.R. and Addison, P.S., et al. (2003) R-wave detection using continuous wavelet modulus maxima. Computers in Cardiology, 30, 565-568. Talbi, M., Aouinet, A., Salhi, L. and Cherif, A. (2011) New method of R-wave detection by continuous wavelet transform. Signal Processing: An International Journal (SPIJ), 5, 165-173. Cui, W.L. (1995) Detection of ECG characteristic points using wavelet transforms. IEEE Transaction on Biomedical Engineering, 42, 21-28. Mallat, S. (1989) A theory of multiresolution signals decomposition: The wavelet transform. IEEE Transactions on Pattern Analysis and Machine Intelligence (PAMI), 11, 674-693. Afonso, V.X, Tompkins, W.J., Nguyen, T.Q. and Luo, S. (1999) ECG beat detection using filter banks. IEEE Transactions on Biomedical Engineering, 46, 192-202. Chen, H.C. and Chen, S.W. (2003) A moving average based filtering system with its application to real-time QRS detection. Computers in Cardiology, 30, 585-588. 李小燕, 王涛, 冯焕清, 詹长安 (2000) 基于小波变换的自适应滤波器消除ECG中基线漂移. 中国科学技术大学学报, 4, 450-454. Szilagyi, S.M, Szilagyi, L. and David, L. (1997) Comparison between neural network based adaptive filtering and wavelet transform for ECG characteristic points detection. Engineering in medicine and biology society. Proceedings of the 19th Annual International Conference of the IEEE, 6, 272-2274. Chen, X.M., Lin, J.S. and Zhang, Z.G. (1999) An improved template matching method for high resolution ECG. Chinese Journal of Biomedical Engineering, 18, 89-96. 田絮资, 杨建, 黄力宇 (2012) 心电信号去噪的数学形态学滤波器. 计算机工程与应用, 2, 124-126. Trahanias, P.E. (1993) An approach to QRS complex detection using mathematical morphology. IEEE Transactions on Biomedical Engineering, 40, 201-205. Fan, J.Q. and Qi, W.Y. (2003) Nonlinear time series: Nonparametric and parametric methods. Springer Series in Statistics. Springer, Berlin. Su, L.Y. (2010) Prediction of multivariate chaotic time series with local polynomial fitting, Computers Mathematics with Applications, 59, 737-744. Su, L.Y., Zhao, Y.Y., Yan, T.S. and Li, F.L. (2012) Local polynomial estimation of heteroscedasticity in a multivariate linear regression model and its applications in economics. Plos One, 7, e43719. Su, L.Y. (2010) Prediction of multivariate chaotic time series with local polynomial fitting. 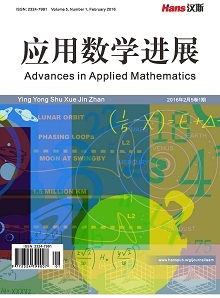 Journal Computers & Mathematics with Applications, 59, 737-744. Su, L.Y. 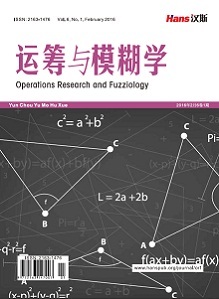 (2011) Multivariate local polynomial regression with application to Shenzhen component index. Discrete Dynamics in Nature and Society, 2011, 930958.